HA Motorsports socketed OBD1 P06 ECU for tuning with Crome Pro. 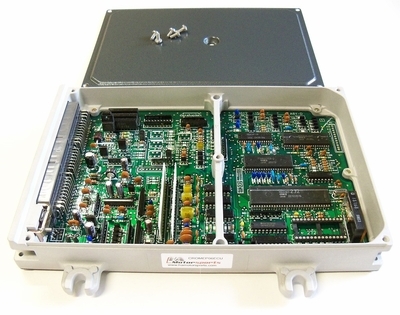 This non-VTEC ECU serves as the base for the Crome Pro tuning platform. Setup specially for tuning using the Moates Ostrich and Moates Hulog along with the Crome Pro / Crome Dealer software. 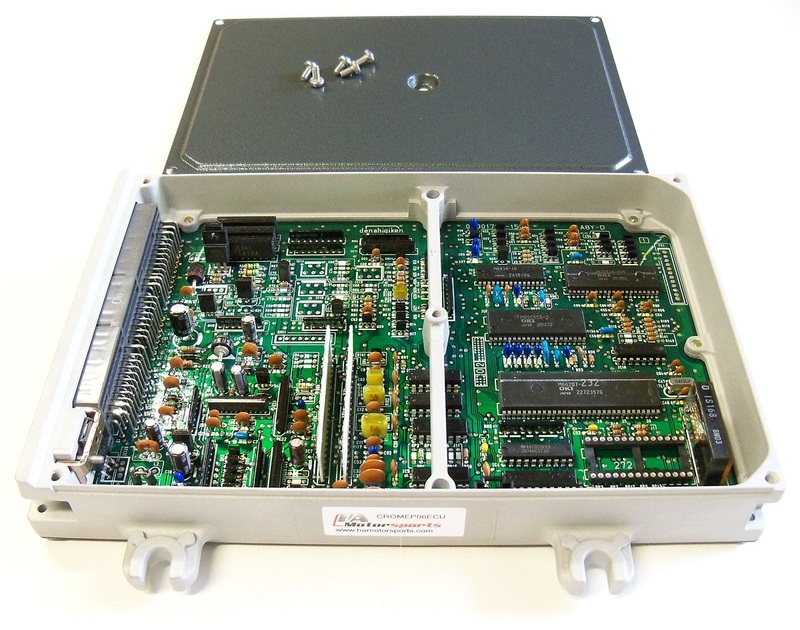 ECU is fully reconditioned and inspected for long-term trouble free operation. 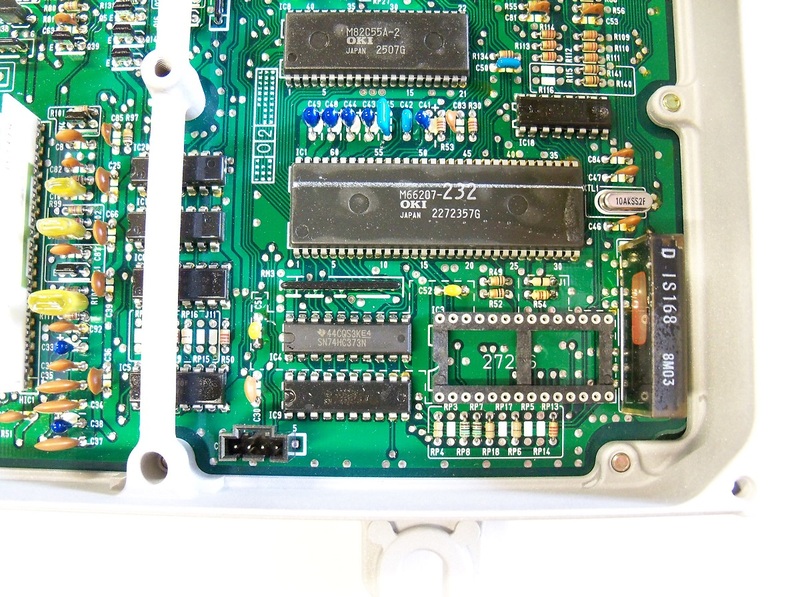 This ECU uses a 28 pin machined socket to hold onto the Moates Ostrich connector firmly as well as a 4 pin datalog header that allows the Moates Hulog datalogger to simply 'click' into place. Allows full tuning and datalogging capabilities in real-time for all common OBD1 non-vtec D/B/F/H series engines. * ECU casing is fully reconditioned using our glass bead blasting process for a like new finish. * ECU upper and lower lids are powder coated for a long-lasting durable finish. * Circuit board is thoroughly tested and inspected to ensure trouble free operation. What else do I need to tune my car with this ECU? * Moates Ostrich 2.0. This allows you to load a ROM image onto the ECU and make changes to the ROM in real-time which greatly simplifies the tuning process. * Moates Hulog Datalogger. This allows you to datalog engine/ECU operation within the Crome Pro software. Datalogging will provide you with engine operating information that you will need to make proper tune adjustments. * Wideband oxygen sensor. One of the most important parts of tuning is adjusting your air/fuel mixture. The wideband oxygen sensor allows you to monitor your air/fuel ratios so that you can make the proper air/fuel mixture changes. * Moates BURN2 Chip Programmer. Once you are done tuning the vehicle, you will want to program the ROM/tune onto a chip and install it into the ECU. The Moates BURN2 is our recommended chip programmer that works excellent with our SST27SF512 Chip (also recommended). All HA Motorsports ECU's receive a full set of new capacitors installed to ensure long term reliability. Both upper and lower ECU lids receive a high-strength powder coat treatment for a unique, long lasting finish that will protect against rust and corrosion, and then are finished off with a new set of stainless steel screws.